Ebere Akadiri is founder of Ataro Marketplace,. She assists entrepreneurs to develop sustainable businesses, and business professionals to gain the courage to rise and lead in the workplace and marketplace. Ebere Akadiri is a Food Entrepreneur, Brand Development advisor, Women in Leadership advocate, writer and keynote speaker. She is a change-maker and champion for inclusion and diversity. Mrs Akadiri is the visionary founder of the annual Rise and Lead Summit, which promotes the empowerment of women for leadership and impact. She holds a Master’s degree in Management and Leadership from Webster University in The Netherlands, where she took a keen interest in women leadership, organisational culture and change management, along with digital marketing. She is passionate about business development, leadership development and content marketing. Mrs Akadiri is formerly the founder of two restaurants and a catering operation that employed over 56 people. She is also the founder of Ataro Food and Spices, a premier West African food brand that promotes West African cuisine and culture in The Netherlands. Her work has been featured in numerous magazines and podcasts in The Netherlands, Nigeria, UK and USA. She’s a thought-leader who writes about her personal stories on leadership, entrepreneurship, self-worth and brand building strategies. 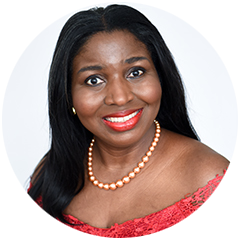 Mrs Akadiri has spoken at various conferences and workshops in The Netherlands and Nigeria. Married, with five children, Ebere Akadiri loves to connect people through events. To invite Mrs Akadiri to speak and inspire your team or for your upcoming conference or podcast, visit HERE. Poonam Barua is an accomplished business leader, Economist, Founding Chairman of the “Forum for Women in Leadership”, CEO of WILL Forum India, Author of the pioneering Book “Leadership by Proxy”, and a Global Influencer of Women in Leadership. Ms Barua launched the distinguished “Forum for Women in Leadership” in 2007 – bringing together senior women executives from leading companies in India and multinationals.The organisation leverages a vast talent pool of women, sharing best practices for women in the workplace, and mentoring them for leadership positions. Over 6,000 senior female and male professionals, from across 250 companies, and over 750 WILL Mentees – participate in the WILL Forum programs and mission. Founding members of the WILL Forum India include Tata Consultancy Services, KPMG, Infosys Technologies and Aditya Birla Group. Ms Barua is Author of the pioneering Book “Leadership by Proxy: The Story of Women in Corporate India” (Bloomsbury) and has written several Research Reports on “WILL Handbook: 50- Best Practices for Women in the Workplace,” “Differentiating Styles of Women in Leadership” and the bestselling report “Balanced Boards for Good Governance.” She is presently writing the landmark Report on “Creating Digital Women – for the Digital Era!” – with distinguished sponsorship from Capgemini. 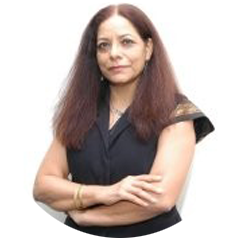 For over a decade, Ms Barua has been Regional Director – India for The Conference Board, New York, providing thought-leadership on best business practices for companies in India. She is actively committed to bringing transparency and corporate governance, and serves as an Independent Director on corporate boards, leads the pioneering “WILL Women on Corporate Boards: Series” in India, and is a Member of the Joint Electricity Regulation Commission Advisory Board of the Indian government. Ms Barua has been awarded a Visiting Scholarship at The Wharton School Advanced Management Program for her work on women in leadership. She also holds a Ford Fellowship at the Paul H. Nitze School of Advanced International Studies (SAIS), Johns Hopkins University, for her work on conflict resolution in South Asia. She is a Visiting Fellow at the Henry L. Stimson Center (Washington D.C.) and the Salzburg Seminar in Austria. Ms Barua has also served as Special Consultant for distinguished international institutions – including the Eisenhower Fellowships, London Business School, and East-West Center. As a trained Economist, Ms Barua hasa Masters Degree from the prestigious Delhi School of Economics, as well as having served as Chief Program Specialist for over a decade at the United States Information Service in New Delhi. She has also been a Lecturer in Economics at Delhi University and Research Associate at the Indian Institute of Public Administration. Ms Barua has given over 300 keynote addresses and Session Presentations around the world – including many cities in India and The Netherlands, Paris, Austria, Slovenia, San Diego, Seattle, New Jersey, New York and Toronto.